From somewhere talk has emerged of light in the Stormont tunnel. Someone has flicked those switches on. Is it the spin that comes in different phases of every negotiation or is it something more significant? Comments by Irish Foreign Affairs Minister Simon Coveney on Thursday have played into that commentary of a changing mood. 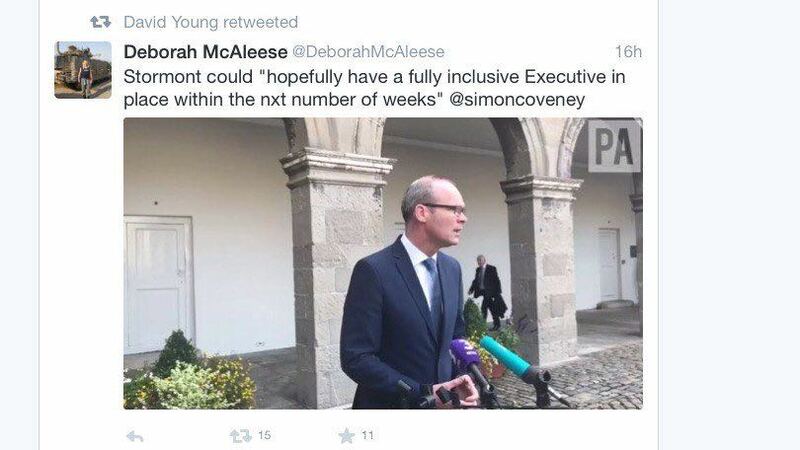 Those tweets on Coveney’s words include the context “could” and “hopefully” – not that Stormont will definitely have that fully inclusive Executive. 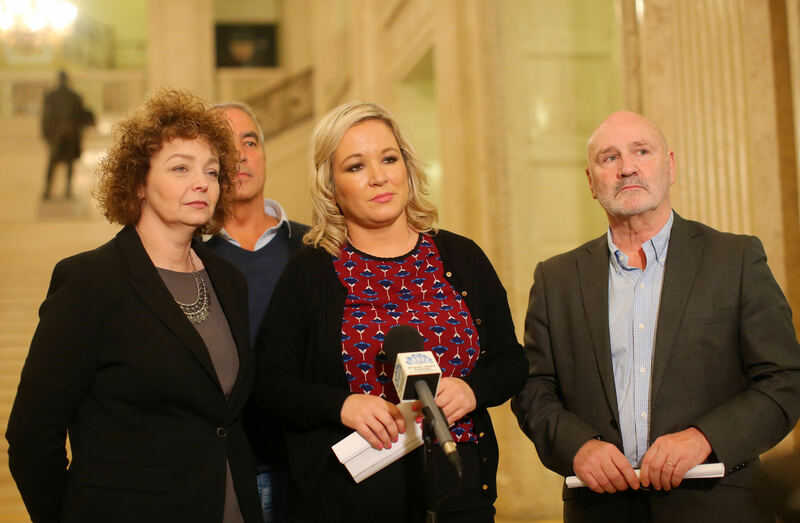 Speaking at Stormont on Thursday, Sinn Fein’s Northern leader Michelle O’Neill repeated that for the institutions to be restored they have to work on a sustainable basis and that “discussions are ongoing”. We have heard throughout these talks how quickly a deal could be done – very quickly if the DUP would move to resolve the outstanding rights issues, including Irish language, marriage equality and legacy. On the UTV politics programme ‘View From Stormont’ on Monday, DUP leader Arlene Foster spoke of “having a cultural and heritage and language legislation” dealing with issues “in the round” but repeated that her party has “failed to be convinced” on the arguments for a stand-alone or free-standing Irish Language Act. The demand for such an Act was repeated at Stormont on Thursday; a bottom line and a fixed line within these talks – the line the DUP will have to cross if there is to be any chance of agreement. Elsewhere on this website. Alliance MLA Paula Bradshaw makes her party’s argument for a way through. On other matters, we know that on the issues of legacy that Secretary of State James Brokenshire wants to move to a public consultation. This will be on the proposed new Historical Investigations Unit (HIU), Independent Commission on Information Retrieval (ICIR) and Archive. It does not mean that there is a legacy agreement. There are continuing arguments over what national security will mean in terms of disclosure of information to families, funding for inquests and unionist concerns about a re-writing of history. On the issue of marriage equality, a possible way of clearing that path has been a discussion on restricting the use of the petition of concern. A deal is not rocket science. The issues are known. 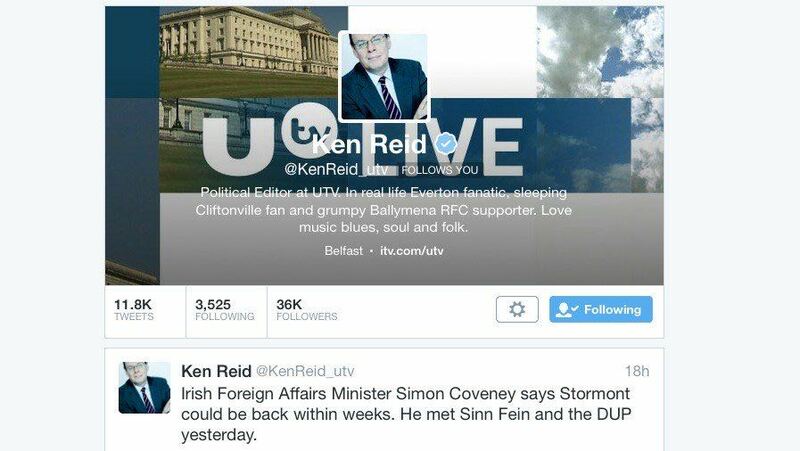 The answers are known, and if these matters are settled, then Arlene Foster will be First Minister. If they are not, then big decisions will have to be made on devolution – decisions within the latest of the many talks deadlines. Mid to late October is the latest time frame. This is not a game of chicken. Any notion of that ended with the Martin McGuinness resignation in January. This is about clear answers on a range of issues. Agreements and an implementation process – and this is what is meant by no return to the status quo. Have they got this over the line? I have heard no suggestion of that. Are they trying? Yes, but they have been trying for months. The DUP needs to understand and accept its part in the making of this political mess – the stuff of curry my yoghurt, crocodiles, rogues and the withdrawal of the Líofa bursary funding which was then restored. “Remember that it was the DUP that created the current public support for an Irish Language Act,” Green Party MLA Clare Bailey writes on this website. If people think this is simply a SInn Féin political demand then they are wrong. It has become something much bigger in the broad nationalist community – the test of respect, parity of esteem, power-sharing and partnership and the worth of devolution. No ifs – no buts. Only if that penny has dropped or is dropping can we begin to think about a possible deal in these seemingly endless talks. In every negotiation, light switches are flicked on and off and off and on. In not many days from now, we will get some indication of where this negotiation is going or not going. September 29, 2017 in News & Current Affairs.